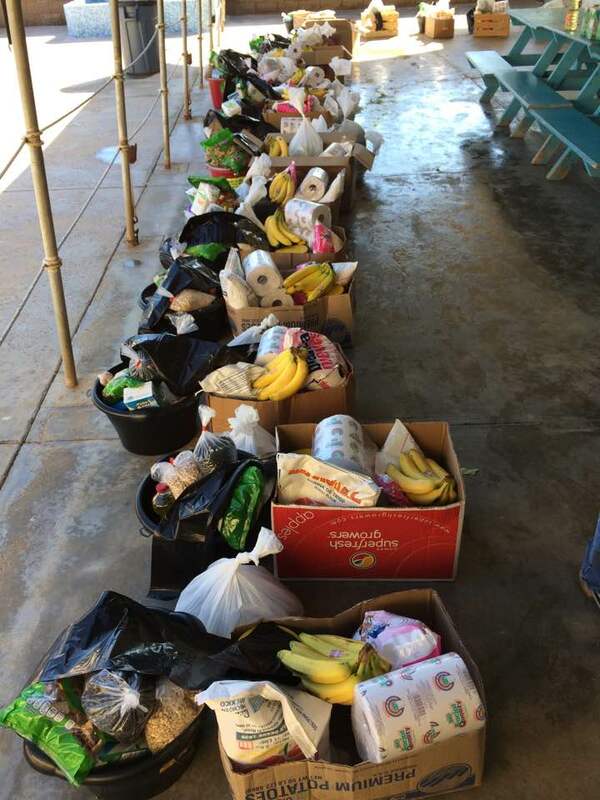 On Monday, we gathered at the campground to pool our money in preparation for the food drive. We arranged to meet at one of the markets in town. To say we overwhelmed this small market is an understatement. 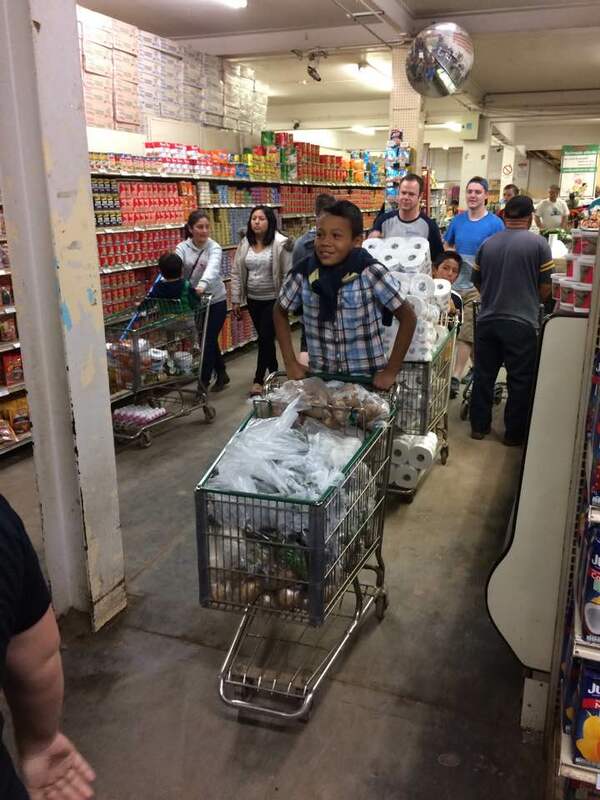 We had 27 people pushing 20 carts through the narrow aisles. 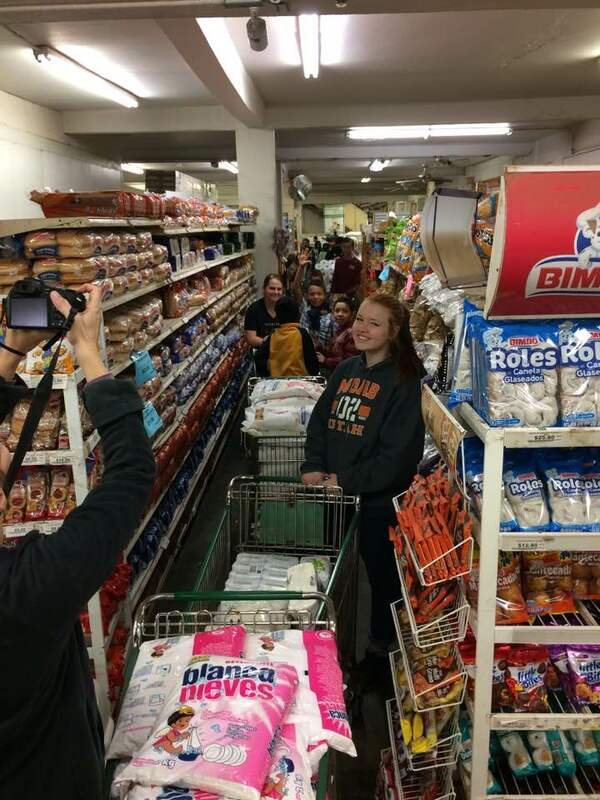 The Mexicans looked at us with curiosity as we entered the store, but their curiosity changed to amazement as we filled each cart to overflowing. Ramon had a list of the types and quantities of staples we could purchase that could help sustain a family for two months. 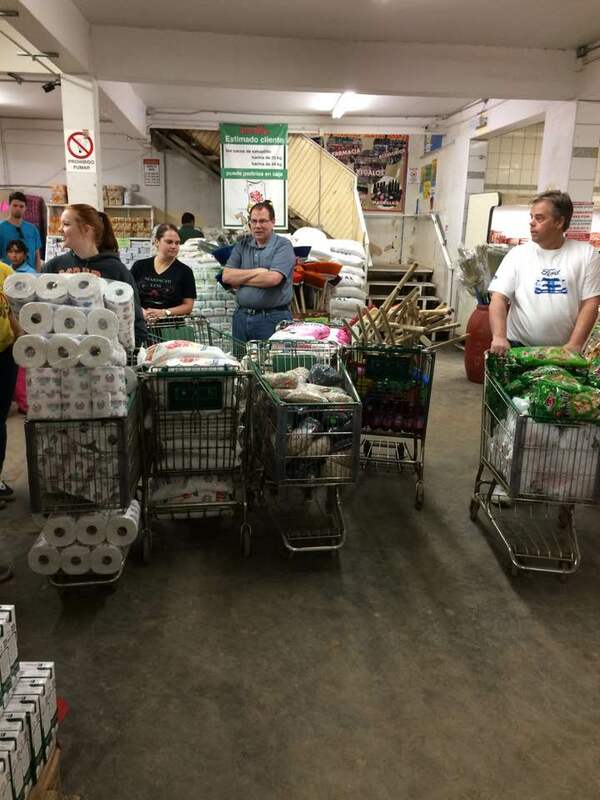 When we had collected all the items, we stood in line at a single cash register. Now we had an audience. Some locals carefully watched the register’s screen as the cost of each item was tallied. 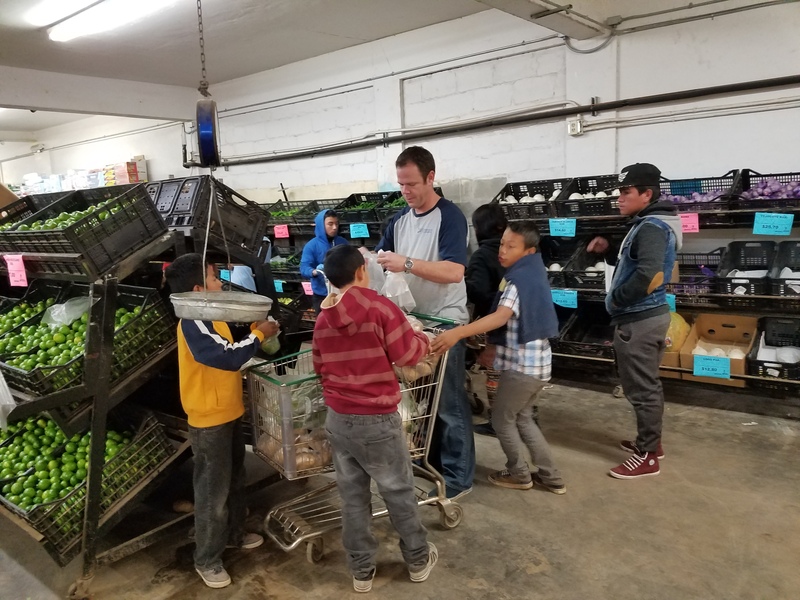 A handful of 10-12-year-old boys helped box and carry the items from the checkout line to the truck, for which we gladly tipped them. 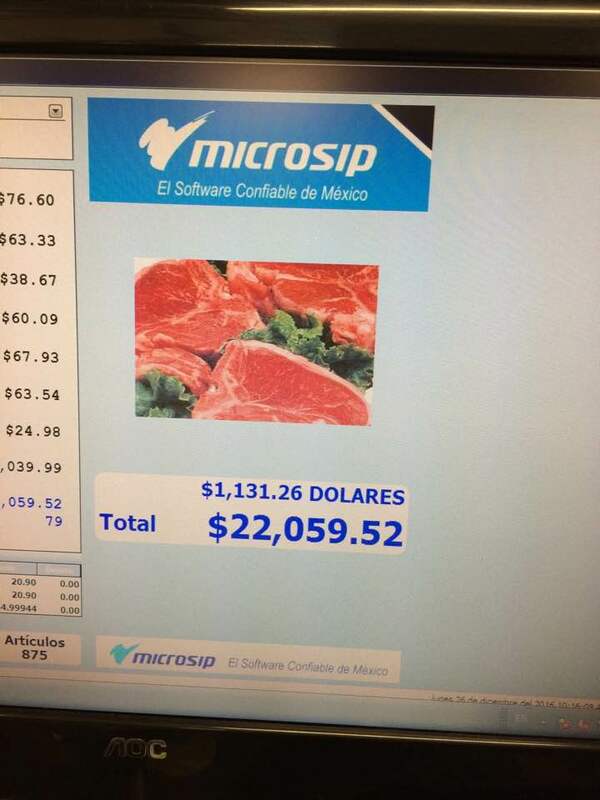 After about 30 minutes of ringing up our purchases, the grand total was $22,059.52 pesos ($1,131.26 dollars). That comes to about $40 per family (we had also purchased items for the orphanage and the women’s shelter). It is amazing that $40 can supply a family for two months. 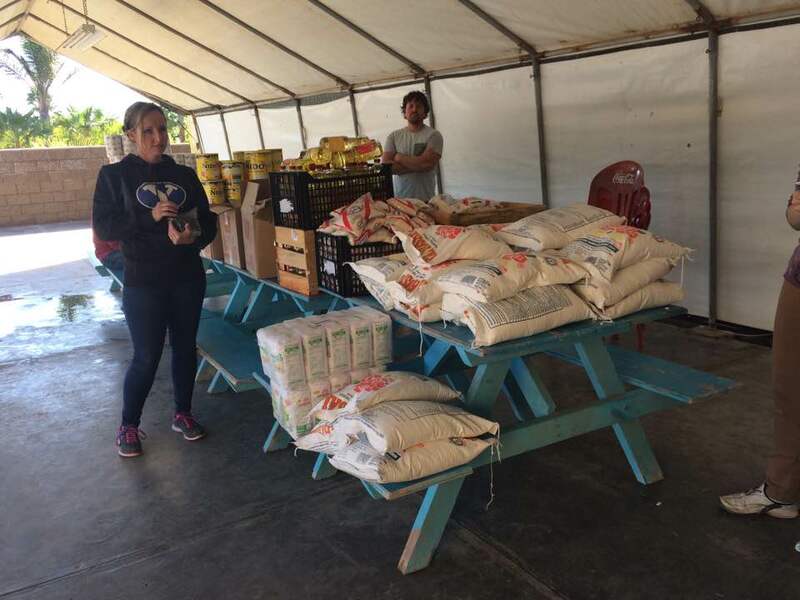 With the items purchased, and our cadre of young helpers amply paid, we went back to the campground to sort the foodstuffs into 25 piles. The younger children placed one or two of each item in the buckets and boxes we would use to deliver. The older children made the necessary adjustments to the distribution of goods, as some of the younger children lost track of where they had put things. While we were separating the items, Ramon and Caleb went out to discover a poorest part of town that had passable roads. Before we loaded up the cars, we all headed into town for more tacos. This is when Jesus and Armando came back into the story.